Her ambitious plan for cities would build on her husband’s legacy. How much of it could she get done? When Hillary Clinton spoke in Harlem in February, she barely used the words “urban” or “cities,” but she laid out one of the most ambitious urban agendas of any modern presidential nominee. “If I’m elected president, we will direct hundreds of billions of dollars in new investments to places like Harlem and rural South Carolina,” Clinton declared at the Schomburg Center for Research in Black Culture. As she’d done four days earlier in small-town Denmark, South Carolina, Clinton talked up her $125 billion “Breaking Every Barrier” agenda to help poor communities with jobs, housing and access to capital. But as she addressed communities of all kinds, including African-Americans and the rural poor, she also mentioned Flint, Michigan, where she’d spoken the week before. Still, nearly all of Clinton’s 30 pledges in “Breaking Every Barrier” have major implications for America’s cities. Clinton wants affordable housing in neighborhoods that haven’t seen much of it, money to tear down blight in the most troubled cities, and incentives to ease regulations that create scarcity in the hottest housing markets. Many of her proposals build on successes from the Bill Clinton and Barack Obama administrations, including the use of public-private partnerships to stimulate urban economies. But even if Clinton wins the White House, her sweeping, expensive proposals will face strong political and fiscal challenges — especially if Republicans keep control of Congress. If Clinton becomes president, she could quickly face a stark, pragmatic question: What’s her plan B for cities if she can’t do it all? Before Barry Bluestone read Clinton’s “Breaking Every Barrier” agenda, he and his colleagues at Northeastern University asked each other what they would include if they were drawing up a national agenda for cities. “Almost everything I talked about that I thought was needed, from all the work I’ve done in Boston and around the country — there is a piece of that somewhere in this agenda,” Bluestone says. For nearly 30 years, Bluestone, a political economy and urban affairs professor and author of 11 books on related issues, has worked on ways to address America’s growing inequality and a decline in social mobility. So Clinton’s proposals to help more people own homes excite him, as does her hope of spending $25 billion on jobs programs for youth and people with criminal records. Other urban policy scholars also praise the Clinton plan for its ambition and its embrace of evidence-based ideas from across the country. 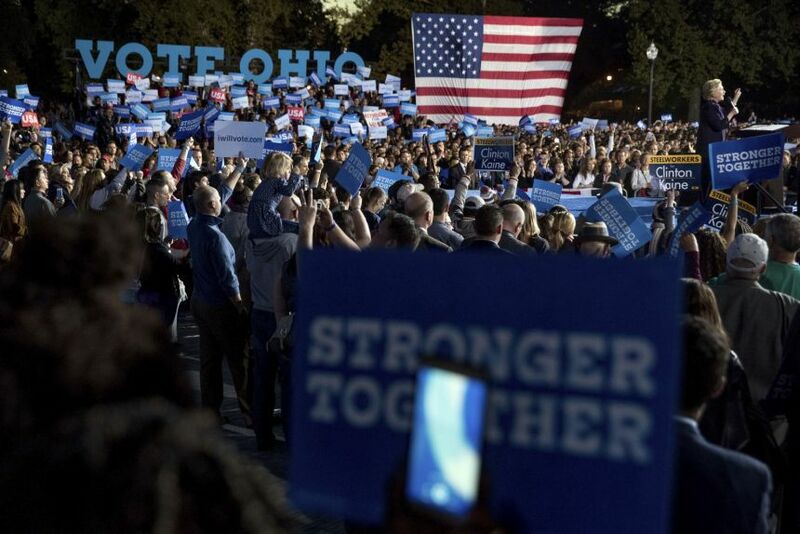 “One of the nice things here is that it suggests that somebody associated with her campaign is actually looking and seeing what some of the states and localities are doing,” says Alan Mallach, a senior fellow in metropolitan policy at the Brookings Institution. For instance, Clinton wants to fund more reentry programs that teach people returning home from prison how to network and interview for jobs. Her idea is modeled on well-regarded programs such as the Center for Employment Opportunities, which has offices in four states, and New York City’s Fortune Society. To increase the country’s homeownership rate, which is near a 48-year low, Clinton proposes government matching funds of up to $10,000 to help low-income, first-time homebuyers with down payments. Greene thinks that could be a key tool to help people build wealth and move into the middle class. 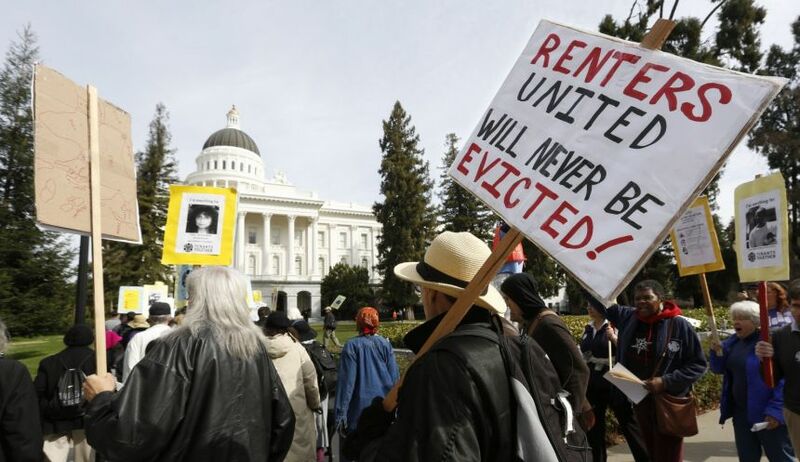 In the urban context, the funds could play an important role in helping families stay in gentrifying areas. “If low-income people and people of color are not going to be able to access homeownership, they’re not going to be able to benefit from the asset-building or tax benefits,” Greene says. Clinton also wants to make home mortgage loans accessible to more people. She wants to nudge federal agencies to clarify their mortgage lending standards and encourage them to use new credit testing tools. “We must not do this by lowering the standards of the market to reach families not prepared to become sustainable homeowners,” her plan reads. In other words, she’s already bracing herself for the argument that any federal effort to increase homeownership rates could risk encouraging a new wave of bad loans, like the subprime lending that triggered the Great Recession. But Greene says Urban Institute research shows that credit standards can be expanded responsibly. “The current credit scoring system does unfairly shut out mostly low-income families, people of color and immigrants,” he says. Clinton’s agenda also seeks to “connect housing to opportunity” — that is, make sure affordable and subsidized housing isn’t isolated in poor communities. By prioritizing economic integration, she is building on one of the Obama administration’s signature housing reforms — the Affirmatively Furthering Fair Housing (AFFH) Rule requiring municipalities that receive HUD funding to use agency-provided tools to show that their housing policies don’t discriminate. Greene says these steps toward reducing income segregation are key to lifting more families toward prosperity. Clinton’s ideas about affordable housing are among the most cutting-edge tools in her plan, Greene says. She wants people who get housing vouchers (once known as Section 8 vouchers) to be free to rent in some higher-income neighborhoods. Right now, the vouchers’ value is capped at 110 percent of a region’s fair-market value. Greene says that’s another factor contributing to declining social mobility in many parts of the country. Clinton wants to build on her husband’s urban legacy. As president, Bill Clinton led cities toward a public-private partnership model of urban development. It’s helped drive a lot of new investment in cities over the last 20 years. The “Breaking Every Barrier” agenda promises to expand two federal programs Bill Clinton introduced: the New Markets Tax Credit program and theCommunity Development Financial Institutions Fund. Both have made new developments in cities possible by filling gaps in their financing. The New Markets Tax Credit has helped finance projects ranging from factories to small businesses to charter school buildings. “It’s a pretty good balance,” says Mallach, “enough money to fill the gap, but not so much that people are just profiteering off it.” Clinton wants to make the program permanent and double the number of credits available in low-income areas. Community development financial institutions, or CDFIs for short, are lenders with a social mission: They offer credit to small businesses and development projects that are too small or high risk to attract conventional lenders. They’re funded by a mix of private and government funding. They can make a huge difference in their home cities. But even large CDFIs, such as New Jersey Community Capital and Reinvestment Fund in Philadelphia, are small compared to their region’s for-profit banks. “They’re tiny compared to the credit needs of the communities they serve,” says Mallach. Clinton wants to double the size of the Treasury Department fund that aids CDFIs. Not everyone in the urban policy world is excited about expanding tools from previous administrations. Amy Liu, vice president and director of the Metropolitan Policy Program at the Brookings Institution, says the federal government needs new urban policy ideas. “We’ve seen the number of high-poverty neighborhoods increase in both cities and suburbs,” she says. “This is in a period of not only economic expansion, but more tools: more CDFI, more New Market Tax Credits, more vouchers, more public housing developments. 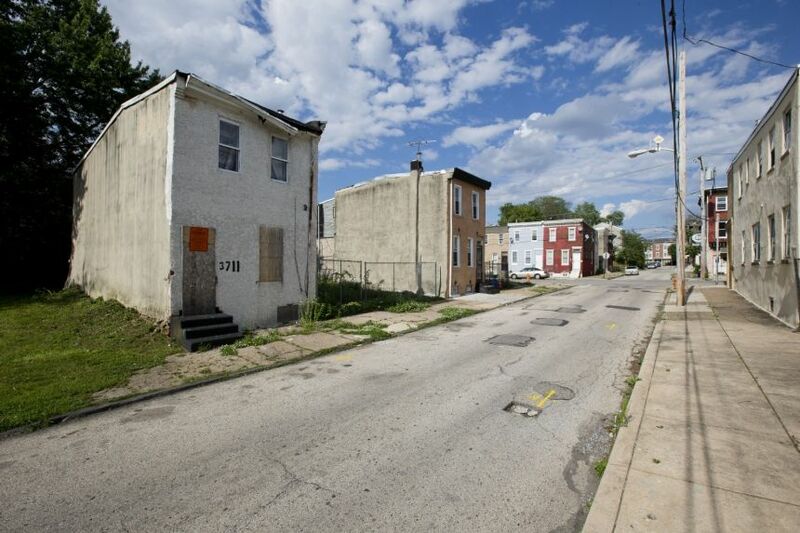 So why have we not made more progress on neighborhood revitalization? Do we want to do more of the same?” She’d like to see new public-private partnerships that connect neighborhood entrepreneurs with their region’s largest employers. WHERE IS $125 BILLION GOING TO COME FROM? The biggest obstacle Hillary Clinton’s “Breaking Every Barrier” agenda faces is its $125 billion price tag. The $125 billion breaks down this way: $25 billion for jobs, $25 billion for public-private partnerships, $25 billion for housing, and $50 billion for infrastructure in underserved communities. That last $50 billion, which includes more funding for public transit and transportation grants, is really a part of Clinton’s $275 billion infrastructure proposal, which includes affordable broadband, airports, and water and sewer systems. She’s promising “the largest investment in good-paying jobs since World War II.” Even The New York Times editorial page, which endorsed Clinton with enthusiasm, is skeptical that she can pay for all her proposals, from the “Breaking Every Barrier” agenda to debt-free college to fighting climate change. “Most of these proposals would benefit from further elaboration on how to pay for them, beyond taxing the wealthiest Americans,” its endorsement editorial said. Unless the collapse of Donald Trump’s presidential campaign leads voters to sweep away Republicans’ congressional majorities, Clinton’s spending plans could be dead on arrival on Capitol Hill. Resistance to new taxes and spending could put Clinton in the same position she faced in 2001, her first year as a U.S. Senator from New York. That year, Clinton introduced seven bills meant to stimulate the economy in upstate New York, as what she called “part of a larger partnership to spur job creation across our country.” None passed, leaving Clinton to pursue small federal grants and assistance for her state. “There is little evidence that her economic development programs had a substantial impact on upstate employment,” a Washington Post report declared this year. If that doesn’t work, Clinton could have to scale back her agenda quickly. Like Barack Obama, she’d have to look for small victories in Congress and executive rule changes to drive urban innovation. Reallocating funds in existing federal programs could also benefit cities. Clinton proposes to follow the “10-20-30” formula championed by U.S. Rep. James Clyburn (D-S.C.): At least 10 percent of funds for all federal programs should go to counties that have had a poverty rate of 20 percent or more for the last 30 years. House Speaker Paul Ryan, who has his own anti-poverty agenda, has quietly endorsed including Clyburn’s formula in appropriations bills. As president, Clinton could also take executive action to enact some more subtle parts of her urban agenda, such as the changes in federal mortgage lending practices and the incentives for cities to reduce housing restrictions. She could be a smart tinkerer, encouraging new ideas as Obama did with challenge grants and competitive funding programs such as the Race to the Top education initiative. Clinton’s agenda is really an opening bid, an attempt to convince a tax-averse public and Congress that there are dozens of effective ways to bring cities back. Editor's Notes: If you like high density housing and and urbanized Marin, you will love Hillary Clintonn's presidency. Tim Kaine, her VP mate is just as much of a "true believer". Although I have been against Trump the entire campaign season, he remains the last viable option to Hillary presidency.